All harbours are navigable all the year round and easily approachable with depths of up to 18 meters enabling them to receive all vessels able to pass the Danish Straits. All port facilities have security plans approved by the national maritime authority and compliant with ISPS requirements. Port of Tallinn is determined to pursue the highest quality and environmental standards to ensure the well-being of all its stakeholders. 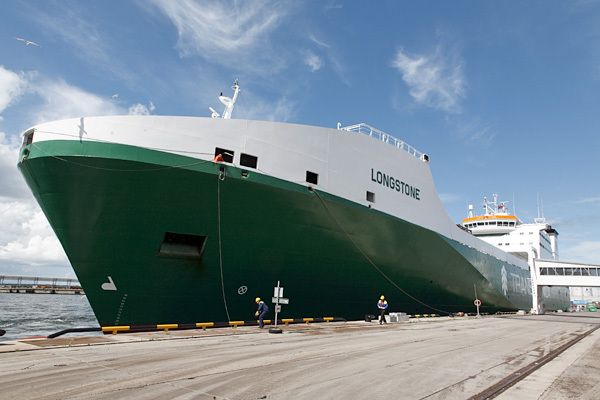 Lloyds Register Quality Assurance has declared the management system of Port of Tallinn to be in compliance with the requirements of the international quality management standard ISO 9001:2000 and the environmental management system standard ISO 14001:2004. Q1. What are the most remarkable highlights of Port of Tallinn? Erik: Overall we could say that the most remarkable highlight has been our development over the past 17 years, where we have become from a small regional import harbor for former Soviet market to a leading transit and passenger port in the whole Baltic Sea region. Using our excellent geographical location and our centuries-long know-how in port and shipping management, Port of Tallinn is today one of the most important players in the North-European port industry market. Q2. What are the current business partners in China, and what is the cooperation about? Erik: We have a close co-operation with ports of Ningbo, Dalian, Guangdzhou and Lianyungang, as well as good relationships with many Chinese shipping-related companies. We also have established good relationships between Chinese and Estonian Transport ministries and had many successful meetings both in China and Estonia. In-cooperation we are perhaps more advanced with the Port of Ningbo, where we are in process of trying to establish a new container terminal in the Baltic Sea – namely in Port of Tallinn. Q3. What is the three-year development plan for port of Tallinn in future? Erik: Today, Port of Tallinn consists of five different harbours from which two – Muuga Harbour and Paldiski South Harbour – are the main cargo harbours not only for our company, but for the whole Estonia. The major developments for next 3 to 5 years are focused mainly to those two harbours. In developing our port, we are implementing a new strategy for the port. 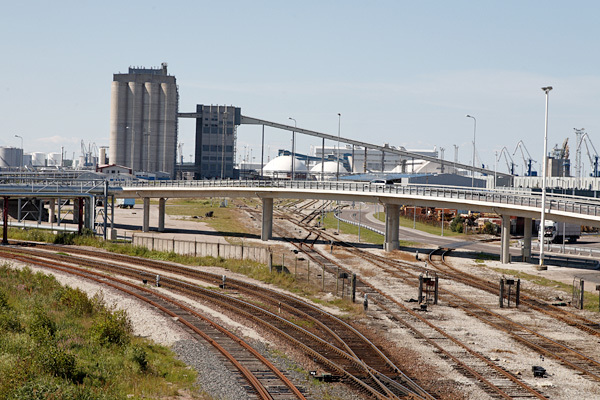 So far we have been mainly a transit port for goods coming from the East and going to the West but we see our future now in a transit movement the other way around ( looking from Estonia′s geographical location ). And as for so far our main cargoes have been liquid bulk, fertilizers and coal, then in the future we are focusing more on containers and ro-ro traffic ( including new car transshipment ). Q4. 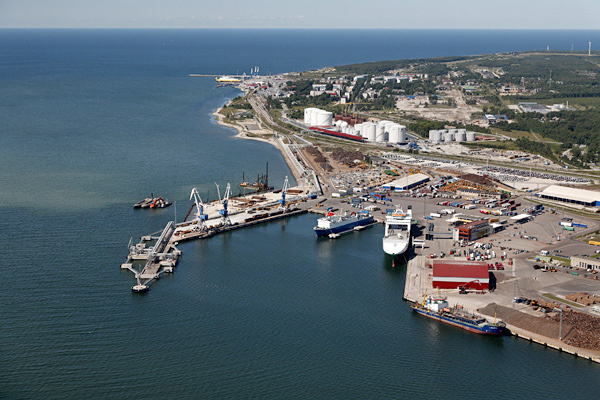 Port of Tallinn plans to develop Muuga Harbour and Paldiski South Harbour. How are you going to achieve those plans? Erik: Both of those harbours are located in a naturally ideal locations with deep natural depths and favourable climatic conditions. They are also harbours that have possibilities to expand. For both harbours, we are planning to increase their territories by gaining land from the sea and build new quays and terminal areas into the sea. That will give us much needed new areas for development bearing in mind our plans for the future of our Port. Q5. We have noticed that Port of Tallinn has contacted with Chinese market for about three years. It is the first time that SHIPPINGCHINA.COM can gather all relevant parties together to discuss actual business project for Port of Tallinn. By working with the leading Chinese shipping network in China, what is the development plan for Port of Tallinn in China in 2009? Erik: In 2009 we are still very keen to introduce more of our plans and possibilities to the Chinese market since we see that the co-operation between Chinese ports and shipping industry and Port of Tallinn can very clearly be beneficial for both sides, even if the World economy is now suffering from setbacks. The emerging markets around the Baltic Sea are still there and the area wants to be served also in the future. For that, Port of Tallinn is the most convenient, high quality and cost-effective partner for Chinese partners. Q6. What else would you like to say to the general shipping industry in China? Erik: The World trade is globalizing more and more and today the World has become a much smaller place in terms of transport and logistics, as ever before. Even regions like China and Estonia ( the Baltic Sea ) that are physically far away from each other, can today benefit from direct co-operation, being it a terminal operations in our Ports or direct shipping-lines to us. There is a lot of business waiting to do, so let′s get going!